I love to read! As a child, I spent hours sitting on my mother’s lap listening to her read tales of dinosaurs, puppies or faraway lands. Fast forward to the present and most days you will find me with a book in my hands, the page turner, write in the margins kind of book. I don’t know if it’s the crisp pages, that ‘new book’ smell or the expectancy of a new adventure with the turn of a page that makes books so dear to my heart. I have books signed by Normandi Ellis, Leonard Nimoy, Lee Carroll and others. I have shelves full of books about animals, travel, mysticism, world religions, gardening, sewing, spiritualism……just about any subject you can imagine has found its way into my hands. My oldest book was printed in 1897 and unbelievably, is still in print today! A wonderful tale about a real life dog, Beautiful Joe was a huge influence in my young life. 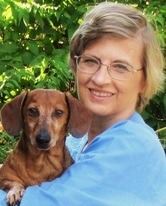 A few years ago, I fell in love with a series of books by author Schim Schimmel. The text and breathtaking artwork reached straight into my heart and left a lasting impression. For younger children (ages 3-6) the wonderful The Family of Earth is purely a treasure. Every page takes you to faraway places inhabited by beautiful animals. In simple terms, this timeless story tells of all the different animals and the exotic places they live. It goes on to explain the quiet truth that although all creatures (humans included) live in different areas, we all share the same Earth and thus, all belong to the family of Earth. 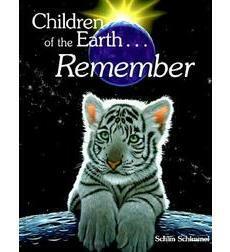 Children of the Earth….Remember is great for children of all ages! It is a magical reminder that in all of the Universe, Mother Earth is special. She is home to animals, plants, trees, humans, birds, and rocks but human-kind has forgotten the uniqueness of the world we live in. However, the animals have never forgotten the special relationship, that they are our brothers and sisters; that, in times past, we honored all forms of life; that, if we pay attention, the animals will remind us that all lives are connected. And once we remember, the love and respect we have for all of Mother Earth’s children will return. These are timeless books to share with your kids! From the brilliant artwork to the ageless words, these stories provide positive lessons on the relationship between humanity and all of Mother Earth. They also offer endless possibilities of discussion concerning how we might take care of the Earth and all her children, of how we might help the environment, what it might feel like to live in an animal’s world. It is so exciting to watch a child’s eyes light up as they experience the world of a gorilla, lion or elephant! Don’t forget to emulate the movement and sounds the animals make either! What fun!! ​The entire series, The Family of Earth, Children of the Earth….Remember and Dear Children of the Earth are my go to gift for new mothers. 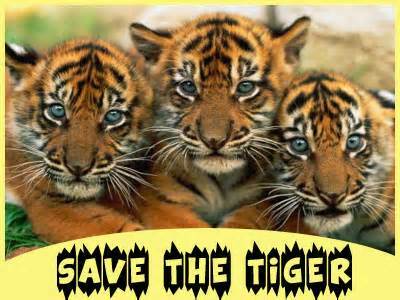 And as a perfect adjunct to the above books, September is National Save the Tiger Month!